The Liberals are holding their caucus retreat in Calgary this week, a city in which the party made a breakthrough in the 2015 election. With two byelections on the horizon, will the Liberals be able to build on those Calgary gains, or will the last election prove to be their high watermark? Justin Trudeau and his ministers will gather this week for a cabinet retreat in Calgary, site of a Liberal breakthrough in the last election that will soon be put to the test in a pair of byelections. 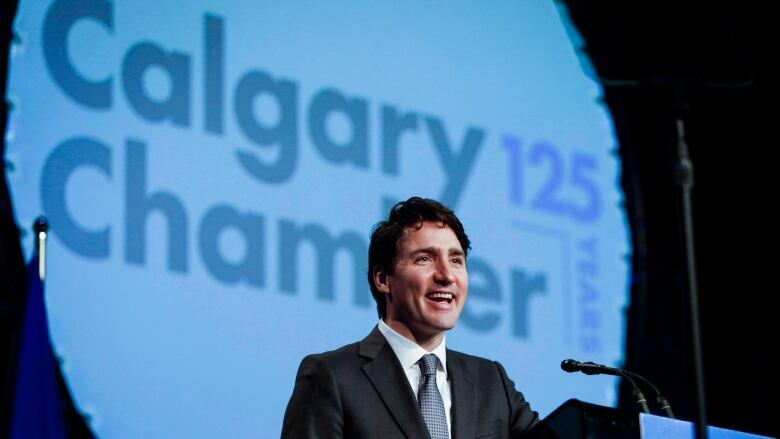 The Liberals won two seats in Calgary in 2015 — the party's first victories in the city in almost 50 years — and Trudeau's team will look to take advantage of its time there on Monday and Tuesday to build on that progress. Campaigns to fill the seats vacated by former prime minister Stephen Harper and Jason Kenney need to be kicked off soon. The deadline in Harper's Calgary Heritage riding is Feb. 25 and in Kenney's Midnapore it's March 22. But the call could come much sooner than that. There is also a vacancy in Ottawa–Vanier after the death of Liberal MP Mauril Bélanger last summer. The byelection call there needs to be made by Feb. 19, and the government is likely to schedule the vote in the two Calgary ridings on the same day. Though the Liberals are long shots to win either of the two Calgary seats, the party is in a better position to compete for them than has been the case for almost half a century. The Liberals captured 33 per cent of the vote across the city in 2015, nearly matching the party's share of the vote in Quebec. 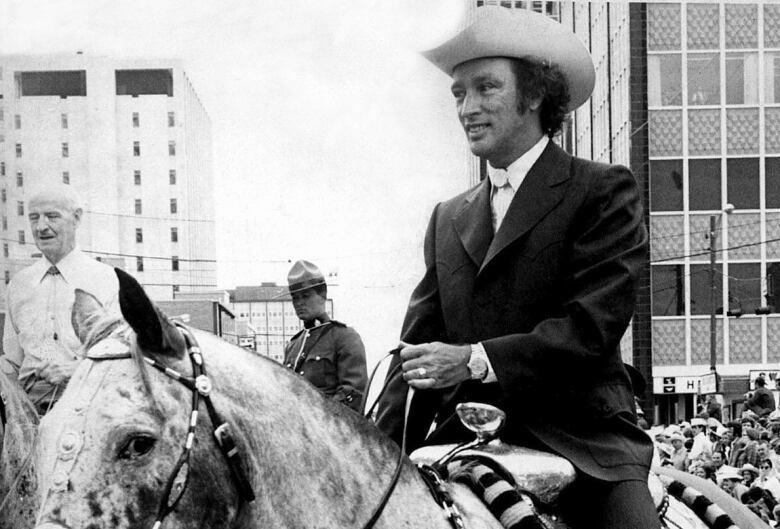 The last time the Liberals posted that level of support or won a seat in Calgary was in 1968, Pierre Trudeau's first election as Liberal leader. The 1968 election was a good one for the Liberals in Calgary, as they took 45 per cent of ballots cast — just a few points behind the Progressive Conservatives. But that support dropped to the mid-20s over the next four elections under Pierre Trudeau and collapsed in the 1980s as the National Energy Program sank Liberal fortunes in Western Canada. Liberal support rebounded somewhat under Jean Chrétien — the Liberals captured 25 per cent of the vote in Calgary in 1997 — before falling again in the 2000s. 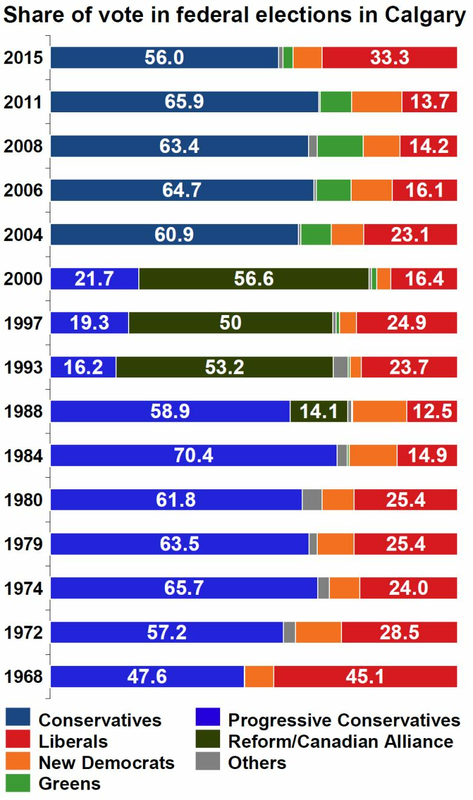 In 2008 and 2011, the Liberals took just 14 per cent of the vote. The city has long been a stronghold for the Conservatives. Between 1968 and 2011, the party and its predecessors never took less than 60 per cent of the vote. But in 2015, Conservative support fell 10 points to 56 per cent, its lowest share of the vote in Calgary since 1968. The Liberals captured 24.5 per cent of the vote in Alberta in the last election. The most recent polls in the province suggest that support has held firm or even grown — two polls conducted by Abacus Data and Forum Research in December put the Liberals at 29 or 32 per cent in Alberta. The party posted higher numbers in last year's byelection in Medicine Hat–Cardston–Warner, boosting its support by 7.7 points in a contest won by the Conservatives. But Calgary Heritage and Calgary Midnapore will be difficult tests. Harper won his riding by 38 points and Kenney took his by 44. These were both below-average ridings for the Liberals in Calgary. Of the 10 in the city, Calgary Heritage ranked as the eighth best for the Liberals and Calgary Midnapore was the worst. Still, the 23 per cent of the vote the Liberals took in Calgary Midnapore and the 26 per cent secured in Calgary Heritage represented the best performance by the Liberals in southern Calgary since 1979. The Liberals will be looking to build on those results, particularly now that the Conservatives won't have such high-profile candidates as Harper and Kenney on the ballots. 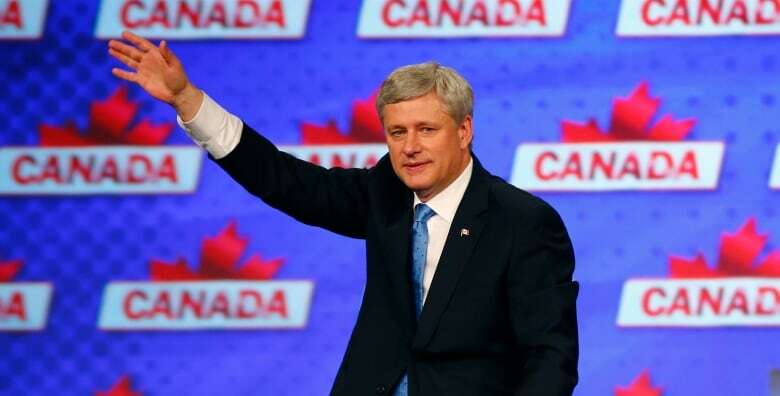 The byelections will also provide some indication as to the impact of a series of decisions and statements made by the prime minister directly related to Alberta's oil industry, which is headquartered in Calgary: the approval of the Kinder Morgan pipeline into B.C. but the rejection of Northern Gateway, the Liberal plan to put a price on carbon and Trudeau's recent statement at a town hall that the Alberta oilsands need to be "phased out." It all makes the Liberals' cabinet retreat in Calgary nicely timed for the government. The prime minister will want to make sure he puts his time in Cowtown to good use.